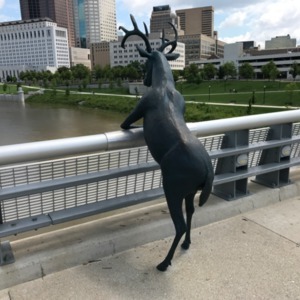 A series of 3 "humanized" deer around the Scioto Lounge. Sculptor Terry Allen is a multidisciplinary artist with an oeuvre consisting of country music, paintings, drawings, and sculptures. 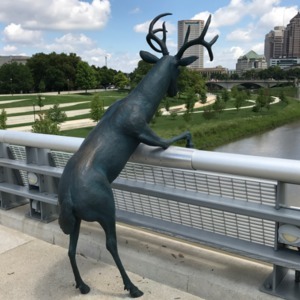 He was inspired to make this series after learning that "Scioto" comes for the Shawnee word for "deer hair", because when the Shawnee people first migrated to this location from the Carolinas, they found deer hair floating in the water. 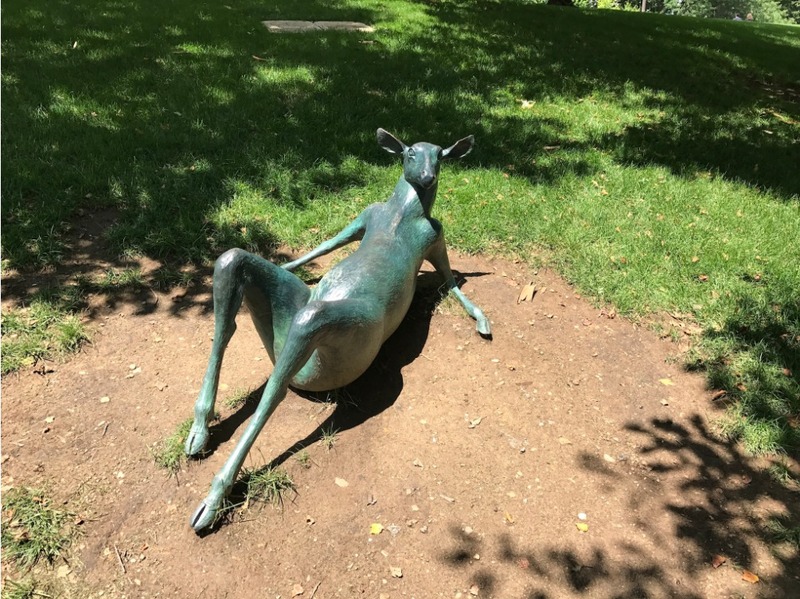 Allen was fascinated by the idea of deer reclaiming this lounge and behaving like people. 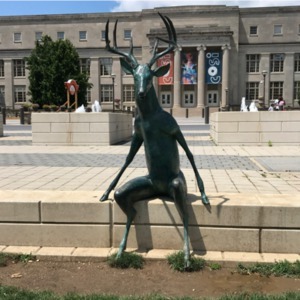 He borrowed styrofoam taxidermist's forms and used them as armatures to "humanize" three deer. Allen finds that the humanization makes them more accessible to the viewer. 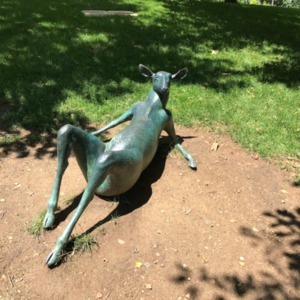 The objects become something of interest that people want to be near and around. 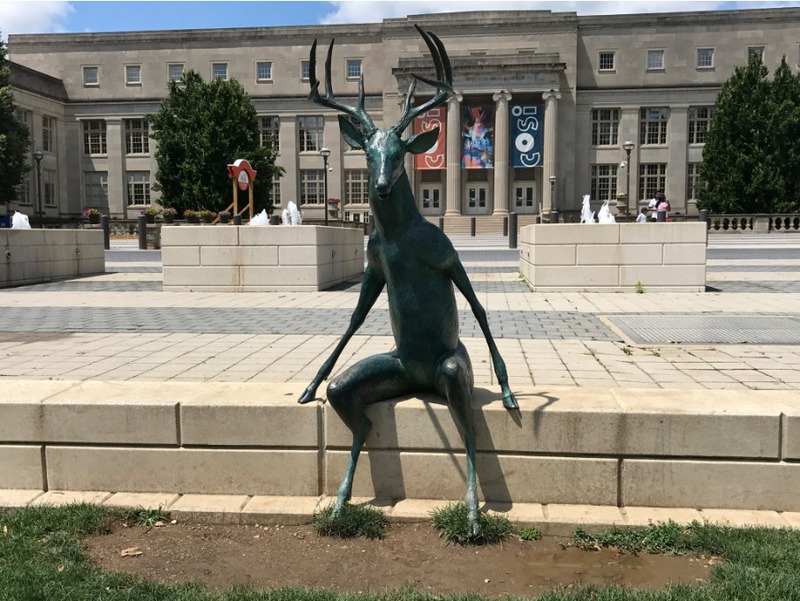 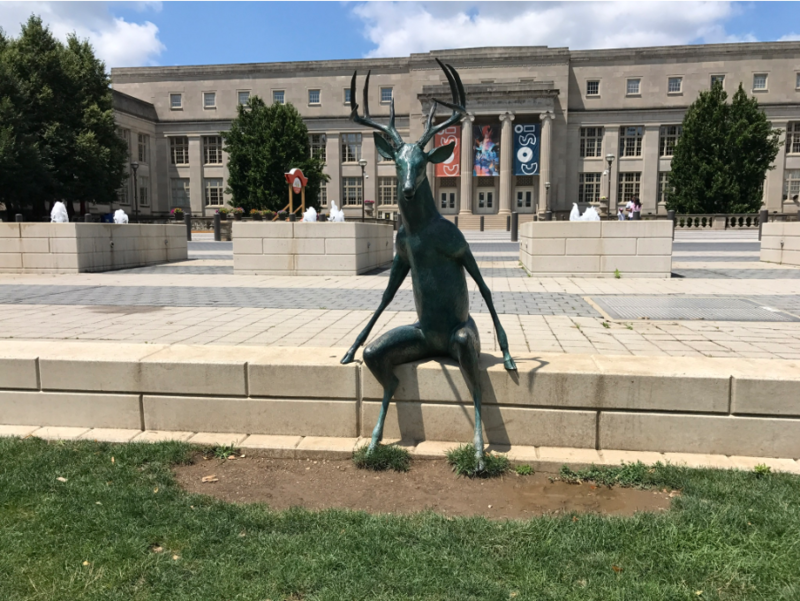 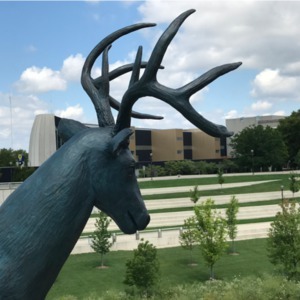 : Terry Allen, “Scioto Lounge Deer,” Ohio Outdoor Sculpture Inventory, accessed April 18, 2019, http://oosi.sculpturecenter.org/items/show/1466.